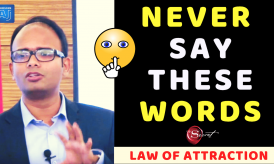 Law of Attraction is nothing unusual now, everyone knows about it, but how about attracting your wishes and desires in just 48 hours? Now that sounds super awesome, isn’t it? 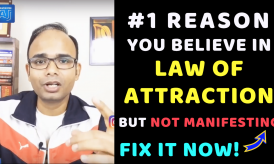 First of all, let us understand how does Law of Attraction work? It may sound a little difficult to apply in our daily life, but do you know you are already attracting things constantly? Yes! LOA works continuously for each and everyone of us 24×7. We are attracting everything whether they are good or bad. So why not just utilize Ten Minutes in a day and give it a direction to manifest what we desire? And let Law of Attraction works in our favour. It means what you think the most you attract may it be success, happiness, abundance or fears, doubts, anxiety, and sadness. You manifest what you desire with the Law of Attraction. Now it’s time for you to do this amazing Law of Attraction Experiment using this Sleep Technique and manifest what you want in 48 Hours. It’s a conscious process to see the Law of Attraction working for you. Who can use this Law of Attraction Sleep Technique? And how to do it? Anyone and everyone can use this Law of Attraction Sleep Technique and do this experiment because the Law of Attraction is working for everyone. Yes, it is that simple. You have to set an intention of what you desire to manifest. Set this intention happily and joyfully and then release it in the Universe. You have to trust the Universe that it will come true, without thinking of how and when. 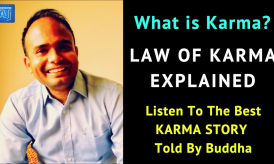 What are the key points while using this Law of Attraction Technique? 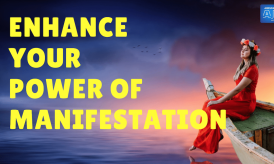 Take out just ten minutes today and visualize what you want to manifest. You can try this before going to sleep because it’s most powerful at that time. That’s the reason it is also known as Sleep Technique. 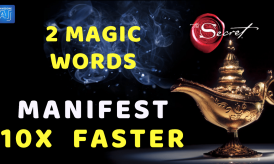 To begin with let us start with small wishes and goals, which when manifested will build your trust in further practicing this technique and make it a part of life. Choose a small wish like receiving a phone call from a friend you haven’t spoken to in a while or a small gift, or a bunch of roses, chocolates, etc. More your intentions are specific, you are more likely to achieve them. For example, if you want to receive a gift you should visualize what the gift looks like, what color it is, how does it feel when you hold the gift in your hands. Remember Feeling is the key here. Feel as happy and joyful as you can while you visualize as if you have already received it. Now you have set the intentions and frequency, The Universe will respond to it. You have to trust the universe without any fear or anxiety or doubt. Believe that it will come true and you will receive it. Use this Powerful Law of Attraction Sleep Technique to Manifest Money, Phone Calls, Gifts, New Opportunity, Meetings and much more within 48 Hours. You will attract anything you want in just 48 Hours. 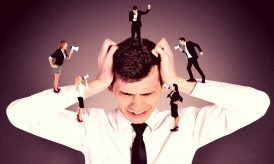 90% People Manifest within just 24 Hours. 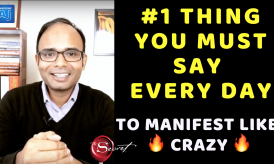 I have shared many manifestation stories in this video. Now it’s time for you to apply this Law of Attraction Sleep Technique and share your results in the comment section. Always remember the Law of Attraction is working powerfully and when you think about your wish, feel it and be joyful about it, you will manifest it. Master the Law of Attraction and Make Your Life Awesome. Editor: Neelam Sharma | Copyright 2018 by Awesome AJ Academy. All rights reserved. Hi, AJ, firstly thanku so much for the previous video. When i saw that video, I did that exercise rightaway ,manifested to talk to a special person and also to have a conversation to meet. And surprisingly that person communicated with me the next day through whatsapp.